December is the perfect time to get your Whittier Area home ready for new year! Spend some time indoors this month getting your home in order. Here are some great home maintenance projects to complete this month to keep your home fresh this year and next!! Start by trying to remove marks and smudges from the wall. If there are still markings, consider adding a fresh coat of paint. Focus on walls, trims, cabinets, and doors; anything that could use some TLC. Vacuum your mattress and box spring. Be sure to rotate (if one side is padded) or flip your mattress to prevent sagging. Reorganize and clean your laundry room. Make it roomier by taking advantage of all the space in your room. Add a slim cart between the washer and dryer for your laundry supplies. Add storage bins, laundry bins, and a drying rack on the walls to clear up floor space. Clean off dried on laundry detergent from the machines. While you clean the laundry room, be sure to clear out the duct that connects your dryer to the outside vent. Built up lint and debris can reduce your dryer's efficiency and could be a fire hazard. Cover the outside vent with a fine mesh screen to keep critters out. Keep your refrigerator running smoothly and save energy by cleaning the condenser coils at the back and bottom of the fridge. Use your vacuum and duster to clean them off. Make sure your home is ready for the winter rains by making sure it is properly working this month. Test the pump by adding water and clean it out if needed. Inspect your roof to make sure there are no missing or damaged shingles. Look for cracks along your home's foundation. Finding any issues now will make sure you find problems before they worsen and gives you time to hire a professional if needed. 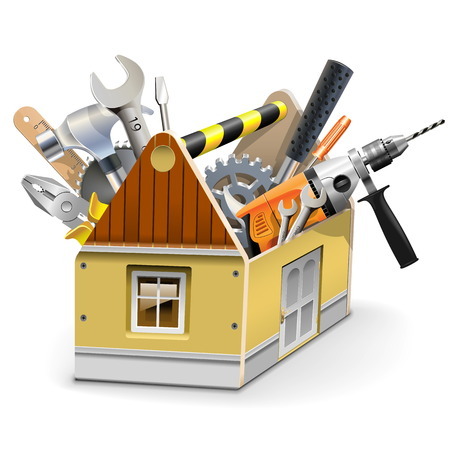 For more home maintenance, visit our website and follow-us on our Facebook page.